Born 1978 in Sindelfingen, Germany. First piano lessons in 1984 with Nora Huzly in Sindelfingen. Further studies with Michael Hauber (1994-2000) and Klaus Hellwig (2000-2006). Master classes with Ilan Gronich, Thomas Quasthoff, Elza Kolodin, Menahem Pressler. Studies at the Mannheim University of Music and Performing Arts and the Berlin University of the Arts. Diploma as music teacher and Professional Performance Degree. Studies of Lied accompaniment with Eric Schneider and Wolfram Rieger. Several 1st prizes in the competition “Jugend musiziert“ on national level, 2nd prize in the competition Giovanni Concertisti, Rome. Scholarship presented by the “Deutscher Musikwettbewerb“ in 2007. Special prize at the Schubert competition in Graz. He did several recording for prominent radios stations in Germany, Europe North- and South America and had CDs preleased with Ars Musici 2005 and Classic Concerts Records 2007. Being invited to the Berlin Philharmonie, the Konzerthaus and the Ludwigsburger Festspiele, he further is regular guest at festivals in Germany and Europe. Lately he was invited for concert tours in Canada and South America. 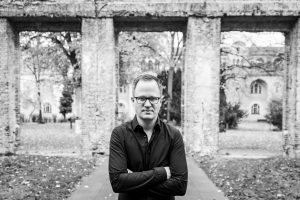 Being chamber music partner of prize winners of the ARD Competition and the German National Competition, he is also correpetitor for masterclasses and orchestra auditions. Since 2011 he is member of the faculty of the music universities in Berlin and Basel.